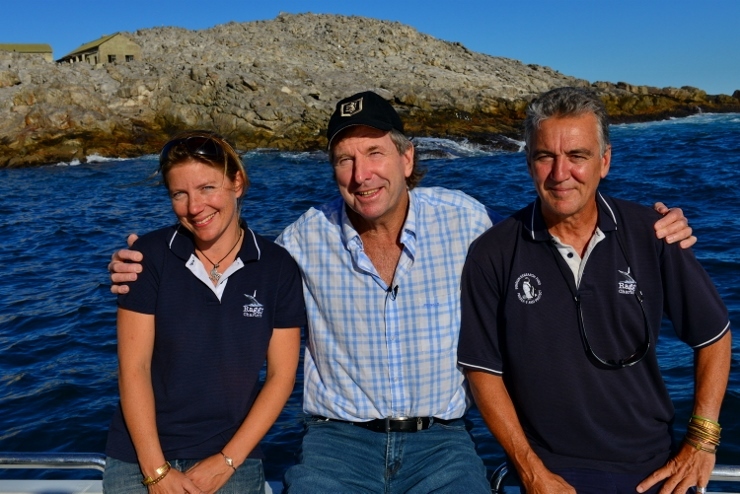 Owners of Raggy Charters, Lloyd Edwards and Dr Lorien Pichegru (lead researcher in to the decline of the African penguin population), recently took the top documentary team in South Africa, "Carte Blanche", out to visit the largest breeding colony of African penguins on the planet. The team are busy making a documentary on the proposed Greater Addo Marine Protected Area (MPA) around St Croix Island. Lorien was interviewed on camera as to why she thought the proposed MPA would be beneficial to the survivial of the endangered penguins. She said that after seven years of intense research her results had proven beyond doubt that the implementation of a 20km no sardine fishing zone around the island had produced a substantial improvement in the fledging of young penguins. Provided there were no other limiting factors this MPA would help turn the trend of plummeting penguin numbers around. Her research in Algoa Bay was a world first and was being used by other scientists around the world when trying to limit the damage done by commercial fishing. Lloyd was also interviewed as to why he thought the proposed MPA would benefit marine eco-tourism. He said that just by people knowing that Algoa Bay had a large MPA it would increase marine related tourists to the area. After all, Algoa Bay is the only place in the world where it was possible to see the "Big 7" in one day. The sheer diversity and number of species made Algoa Bay the "Flagship Area" for MPA's in South Africa. Top international film crews like the BBC, National Geographic, and Animal Planet, had been hosted by Raggy Charters recently and these documentaries were being seen by hundreds of millions of people around the world. Earlier that day Lorien was interviewed on AlgoaFM as part of World Penguin Day (25th April). 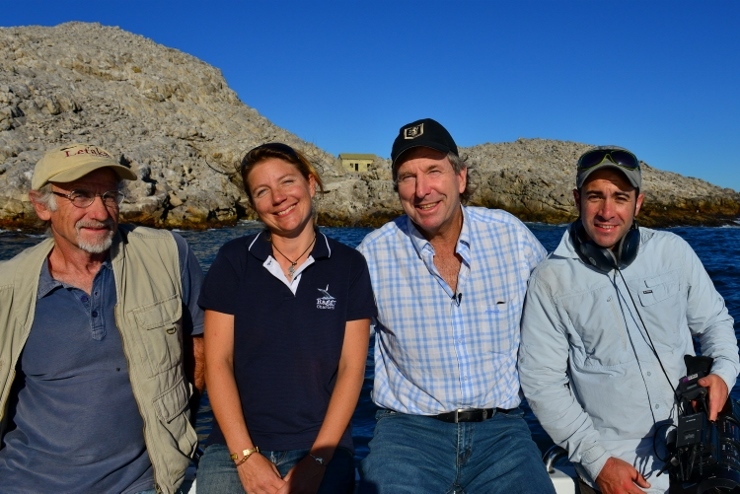 Besides giving an overview of her research, she told listeners that Algoa Bay was soon to be launched as one of the new "Hope Spots" in South African and what this entailed. You can read more about these hope spots on the Sustainable Seas Trust website.